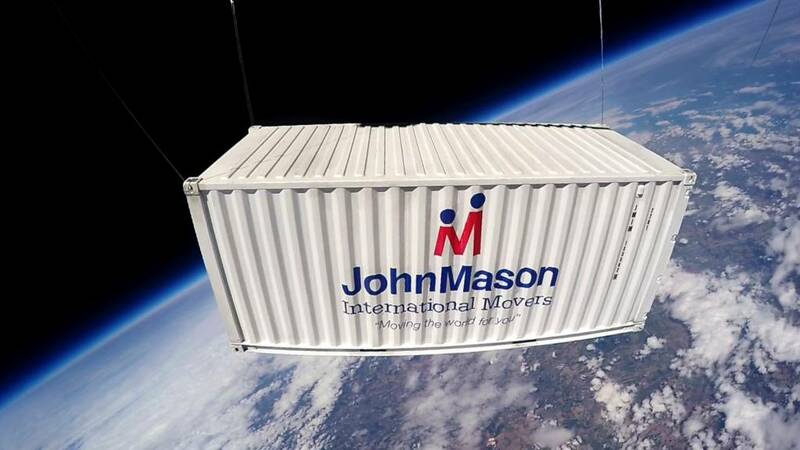 John Mason International achieved a world’s first this week – launching a shipping container into Space. Proving we’re capable of taking anything anywhere, we teamed up with global experts Sent into Space to accomplish this spectacular feat. Our business is all about taking you where you want to go – whether you’re moving your life to Australia, New Zealand or any other far flung corner of the Earth. We are well versed in transporting treasured belongings safely across the oceans to the other side of the world – so we wanted to really push ourselves. Could we send a specially-made removals container into Space? Of course we could. And we filmed the very extraordinary journey before coming back to Earth safe, sound and undamaged. 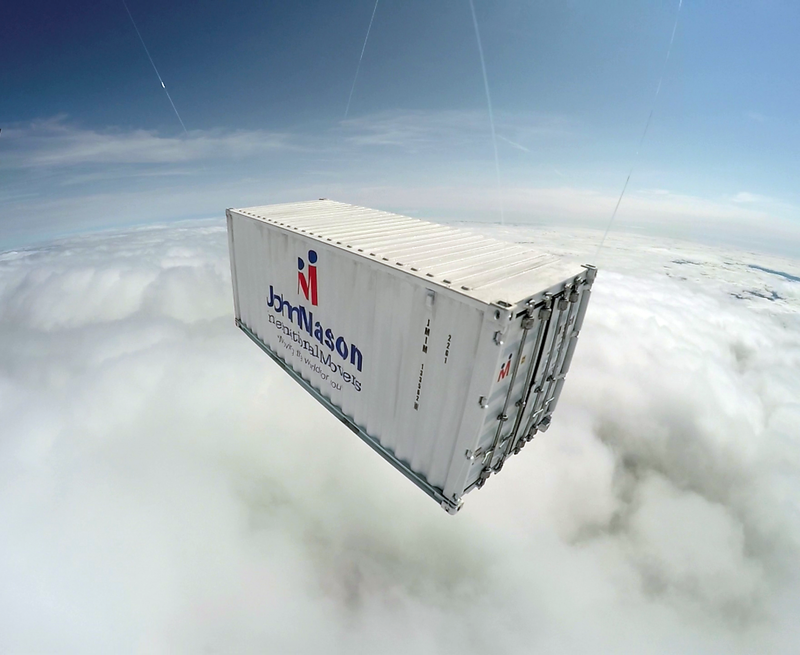 Equipped with an on-board camera, our little crate went where no removals company container has gone before and beamed back some out-of-this-world footage from heights of around 40km – double the point where astronauts require Space suits. The film clearly shows the curvature of the Earth and the thin blue line of its atmosphere. That’s one small step for man, one giant leap for international removals. Our precious container went on an arduous adventure – experiencing temperatures of -70ºC and 0º pressure. And when it re-entered the Earth’s atmosphere, it travelled at speeds of up to 150 mph. We are pleased to report, just like our customers’ possessions, it reached its destination safe-and-sound. – Descent rate on landing – 5.4m/s (12 mph). However, with no air to fill the parachute at the top of the flight, the payload will have fallen at over 150mph for the first half of its descent.